At the IDTechEx Printed Electronics USA conference and exhibition, three companies were awarded for their achievements in developing and commercializing printed electronics technologies. The judges for the awards were Mr. Jeff Duce, Design Engineer from Boeing and Dr Dirk Schapeler. Head of Bayer LifeScience. 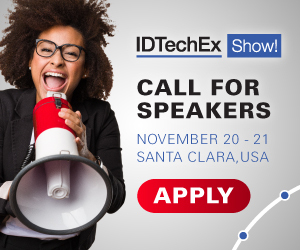 Raghu Das, CEO of IDTechEx, the host of the event, stated "Our esteemed judges are both from companies that are potential users of the technology. This adds great gravitas to the winners and an indication of the ongoing move towards adoption of this technology in different industries." SAFI-Tech was the recipient of this award for their development of supercooled metal inks which is a transformational no-heat technology that enables flexible electronics manufacturers to electrically connect components without thermal damage or issues caused by coefficient of thermal expansion mismatch. The technology consists of water-balloon-like microparticles of liquid metal in a supercooled state at ambient temperature. This supercooled state is stabilized by a subnanometer thick oxide layer that can be mechanically broken or chemically dissolved to release the liquid metal and then rapidly solidify all without requiring heat. Existing technology such as solders must be heated to high temperatures to melt and flow the metal and silver pastes must be sintered in ovens to create the necessary electrical connections. Raghu Das, CEO of IDTechEx, notes of the accomplishment, "IDTechEx repeatedly hear from integrators about the challenges of attaching components to low temperature flexible substrates where a high conductivity connection is needed but without using a high temperature process. The judges commented on the need for the solution offered by SAFI-Tech, where a room temperature, cure on-demand solution would be very valuable." Kateeva won this award due to their inkjet printing system - YIELDjet - which is being used in the mass production of OLED displays today. The company assembled a team of experts from the OLED, ink, flat panel display, semiconductor and printer industries to develop YIELDjet, which replaces a vacuum thermal evaporation system with an inkjet printed solution. Raghu Das, CEO of IDTechEx, reports, "This is printed electronics in action, where inkjet printing is used to create commercial consumer electronics devices today. Kateeva has achieved building a system that continuously provides uniform, reliable and precise function required for the demanding display business." Key differentiators include the glass substrate floating on gas during printing, managing ink turbulence with nitrogen gas airflow and unique algorithms to monitor the printing. TF Massif's objective was to produce a cost effective method of producing a large area printed electronic flexible circuit that would serve the "Point of Purchase" (POP) industry. This would be a roll to roll process capable of producing a continuous circuit both single and double sided. This technology could be used to cost effectively electrify the "POP" display industry. This would enable POP's through lighting to be not only graphically distinctive but now can be visually dynamic through the addition of electronics and lighting. One of the judges commentated "To date, there has been little in the area of large area and high volume and thus low cost. With the integration of visual graphics and COTS electronics devices, this aligns to the future needs of the industry"
Raghu Das, CEO of IDTechEx noted, "We believe that printed electronics has large potential in the POP industry, where flexibility and a need to stand-out-from the-crowd is needed. However, the manufacturing process to enable cost effective printed electronics POP has not been addressed - until now. This development will help to bring printed electronics to market."